Battle Your Way Through 12 Levels And Over 150 Screens Of Mayhem! We all love the Commodore Amiga — and if you don’t love it, I don’t want you to read my blog anymore. 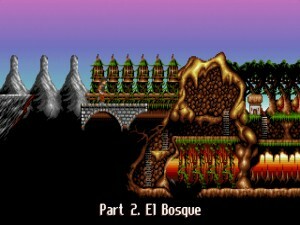 To me, the apex of the Amiga during the early 90’s represents the true Golden Age of computer games. 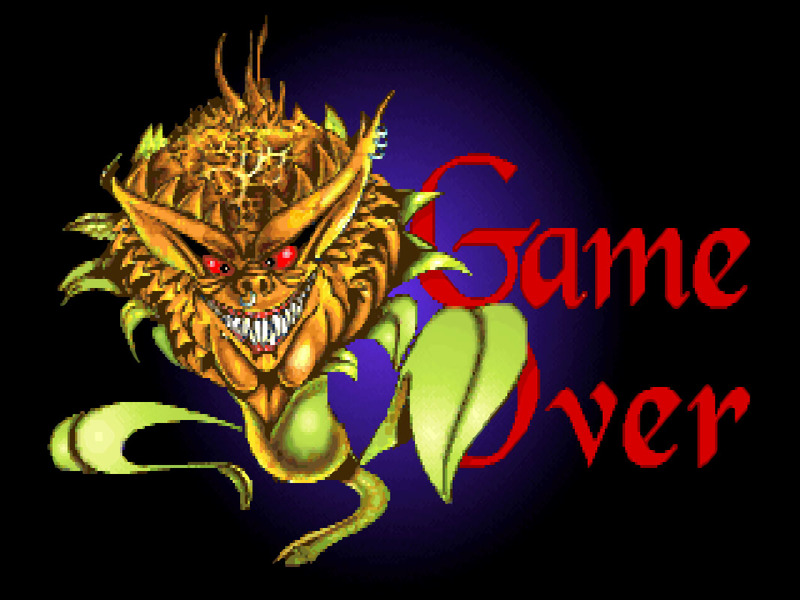 It was that period when practically every game released was good and most managed to impress. Even the bad ones retain their charm to this day. 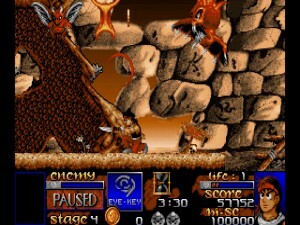 Several games of this breed made a lasting impact such as Shadow Of The Beast which proved, for once and for all, that home computers had the horsepower to equal and even surpass arcades. One of these gaming milestones was developed in Spain and was very successful in Europe, although it didn’t quite make a splash overseas, even though it was distributed by a major publisher like Electronic Arts. 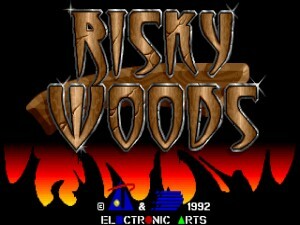 That game was Risky Woods and it was, at the time, the most visually stunning arcade in the market. 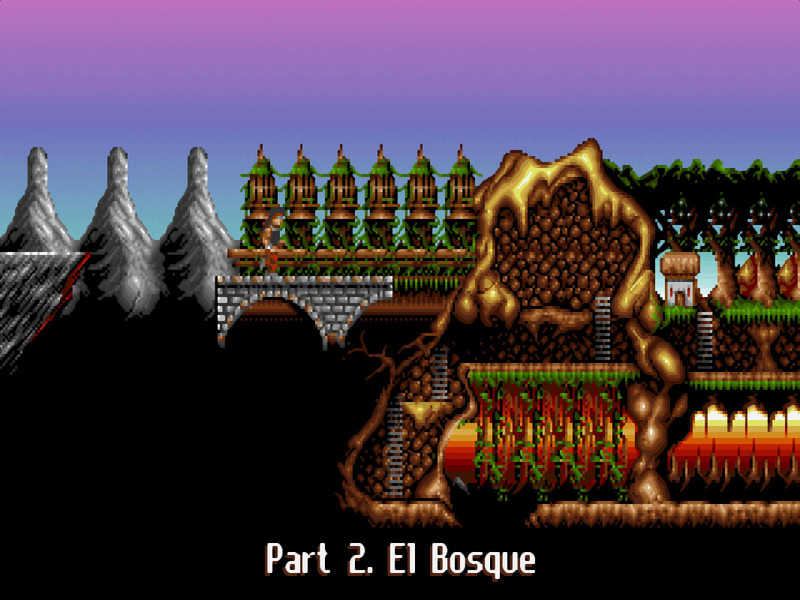 This is understandably the reason why it also happened to be the first Spanish game being ported to consoles (the Genesis/Sega Megadrive was the lucky one). The most notable aspect of Risky Woods perhaps was the smooth parallax scrolling as well as a lighting system that dimmed or highlighted some scenarios accordingly while your hero was indoors or outdoors (a special effect rarely seen before or ever since in this type of game). 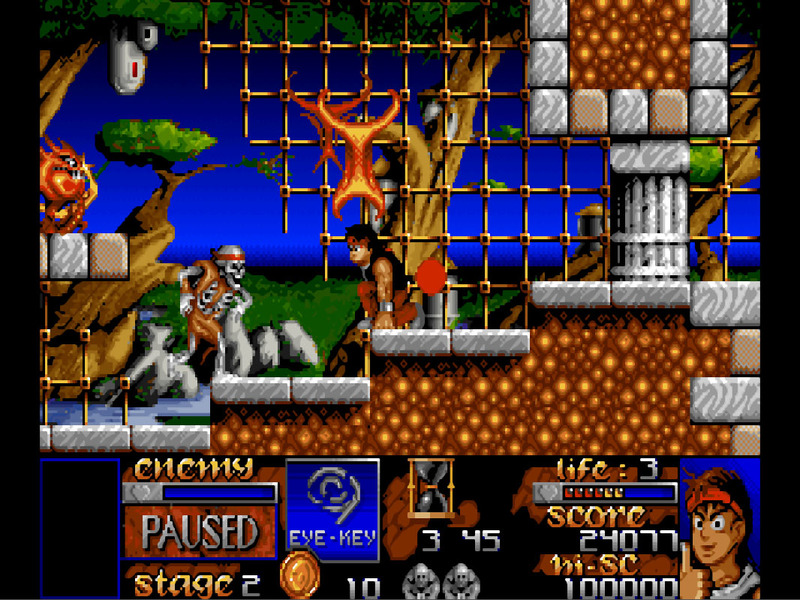 In addition, it boasted gorgeous graphics and eye-candy that exemplified the unique style of the Amiga. You’ll have to take my word for it if you didn’t play the game back then, but it was amazing to see the sheer amount of stuff appearing on screen: waves of creatures showing up from every direction, countless of power-ups that bounced whenever you opened a chest or killed the monsters as well as explosions and, well, many other things. Keep in mind the game was criticized for its chaotic gameplay. This level of detail and little animations everywhere was unthinkable in the comfort of your home until Risky Woods came along with its lush presentation and polishing. 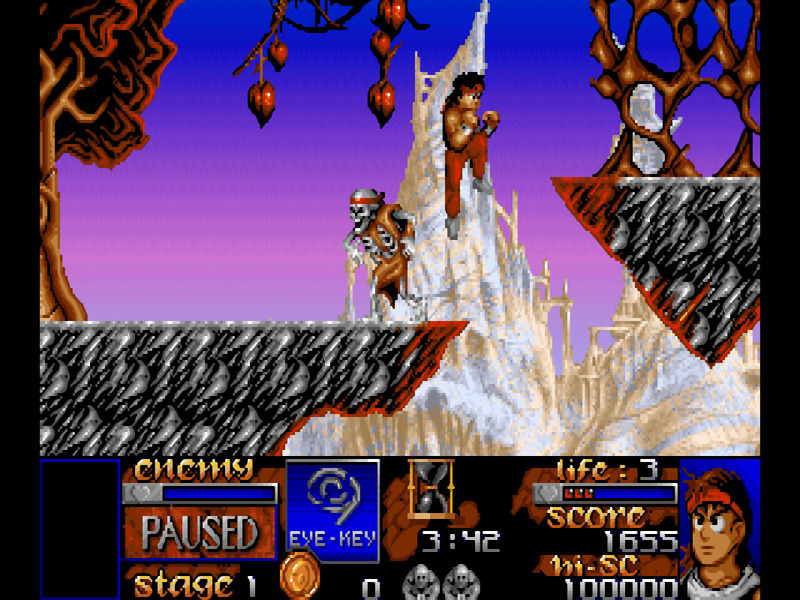 Surely you must be wondering about the gameplay… Well, it’s a side-scrolling arcade, so there. You jump, you shoot knives and other weapons at evil creatures and you move from left to right. That’s about it really. But it’s pretty frantic and challenging — quite challenging, in fact. Like most action games of the period, this one is insanely difficult and forces you to kill fast and carefully calculate complicated jumps between platforms, just before it drops on you a giant stone out of nowhere. Yeah, talk about unfair. 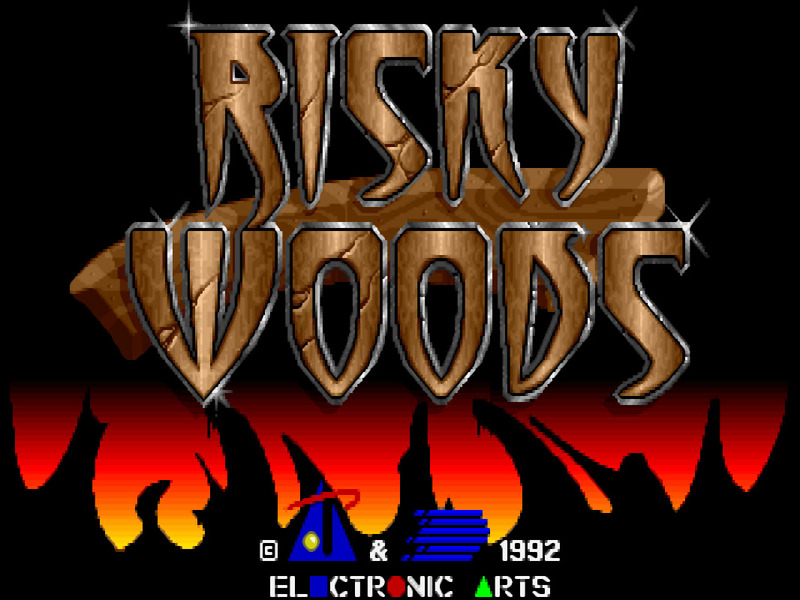 Still, if you’re a masochist gamer like me you’re bound to enjoy this: as I said before, Risky Woods has countless of bonus items that constantly pop on screen (you are forced to crouch to grab them, which further adds to the challenge) and many diverse creatures. 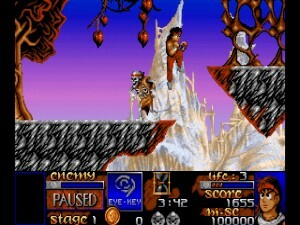 The levels are also very rich and range from desolate mountains to caverns and towns. All in all, there’s plenty of variety to keep you entertained. 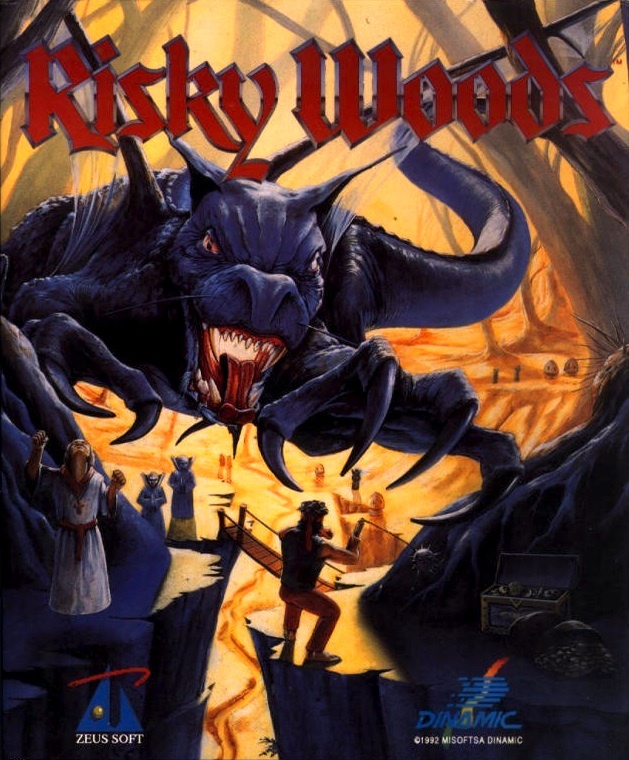 In retrospective, Risky Woods was more of the same and derivative, down to the map screen before each level reminiscent of Ghost ’n Goblins or Toki… but we’re talking about LOTS of more of the same, which is always good. By the way, the game was clearly inspired by Shadow Of Beast, which you come to realize when you must avoid dangerous giant thorn-like things that rise from the ground below… aaahh, gotta love the arcades of yesteryear!